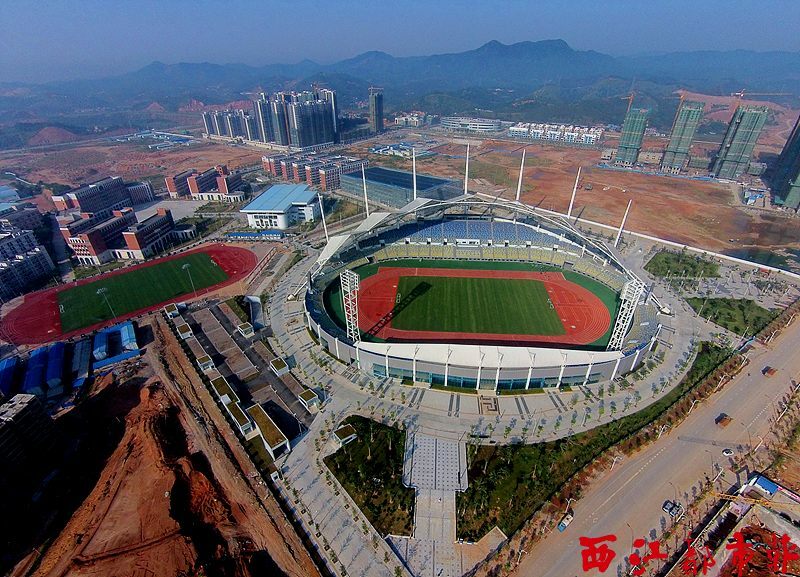 This stadium may be no match to major Chinese sports venues, but for Wuzhou it’s the first ever professional stadium (built for a population of roughly 500,000). 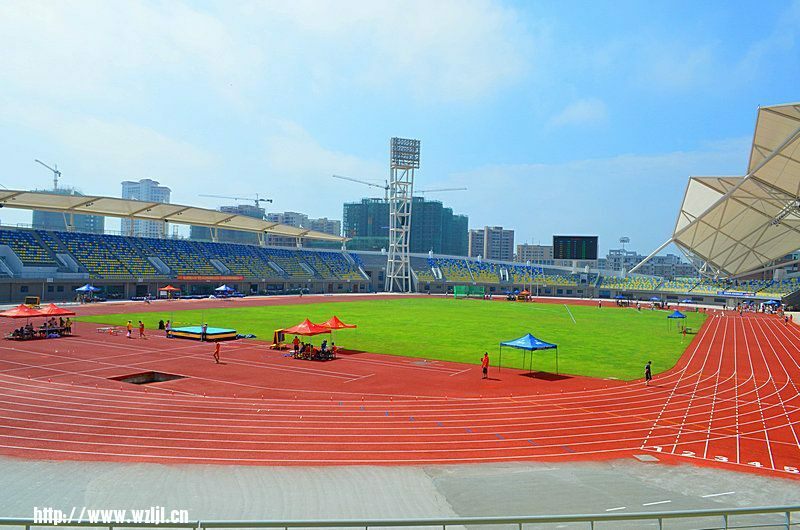 And it was built for the city’s largest ever event, 13th District Games. 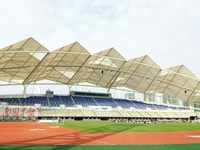 The tournament proved to fill less than half of available seats, but taking into account the speed of growth, Wuzhou should see them full on other occasions. 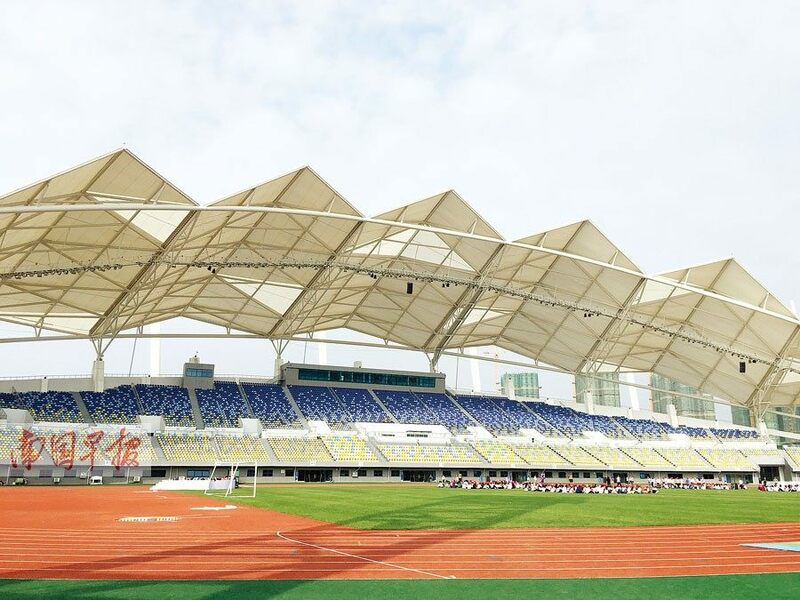 The stadium itself is part of an impressive expansion that saw actual inhabitable surface of the city grow by almost 50%! Just 5 years before opening there was still a hill where the stadium now stands. 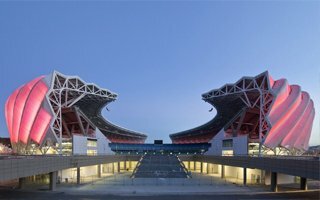 Structurally it’s very simple, entirely delivered with cast-on-site concrete and has a blueprint of roughly 34,000 square meters. 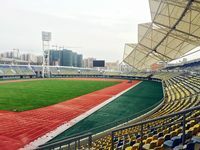 While minor maintenance/sanitary facilities are available throughout the stadium, vast majority of its infrastructure is located under the dominating west stand. Altogether there are 19,000 square meters of floor space. Aesthetically the key feature is its western roof. Resting on two arches and supported by 7 slender pylons, it was selected out of several concepts to symbolize a sail, honouring the Gui Jiang River that feeds the city. 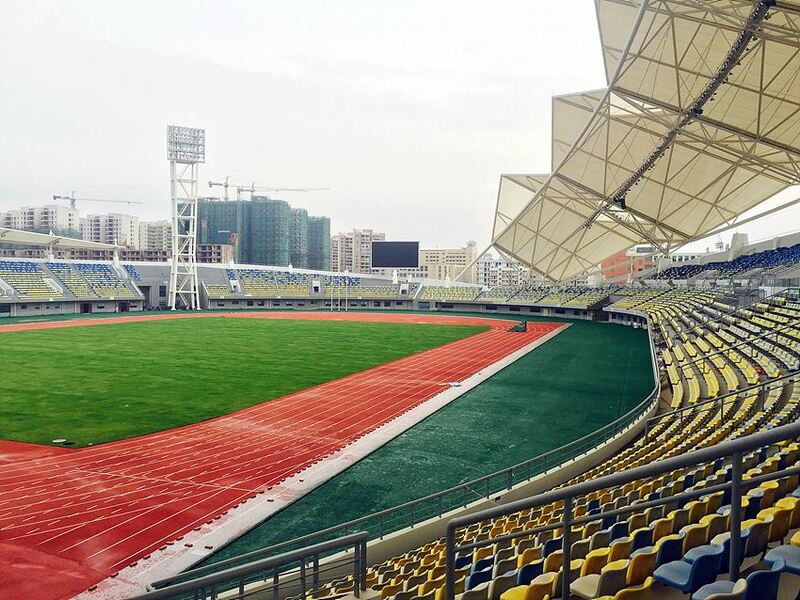 15.01.2016 New stadiums: More candidates from China? 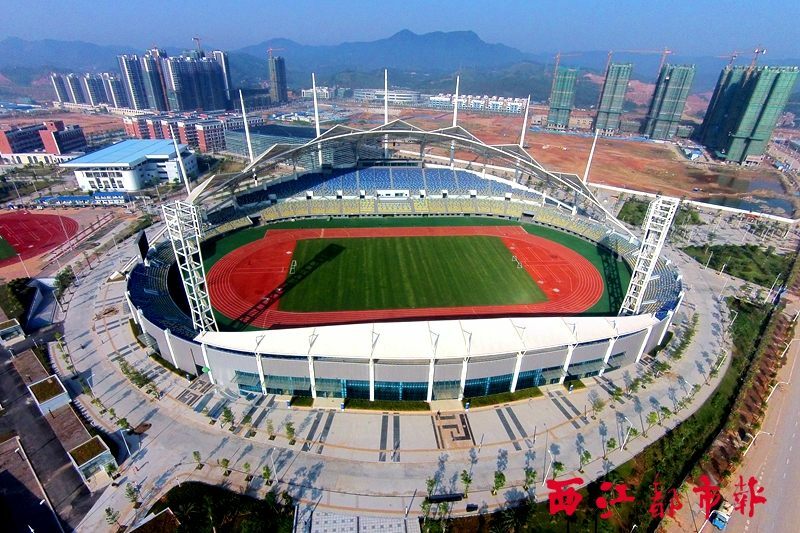 Quick update of Chinese stadiums opened in 2015 to check if you find them suitable for Stadium of the Year nominations. Surely these catch the eye!